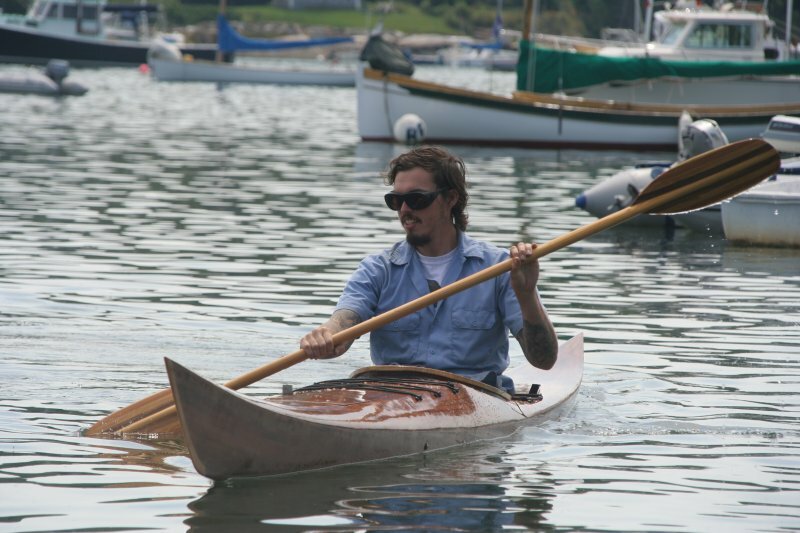 I built this kayak all by my lonesome in a little shop in Pemaquid, Maine. She’s a beauty (takes after her owner is what I’ve been told), and handles something like a Corvette. I just finished a trip with her up the coast to Machias Port, and am back home dry and tired.